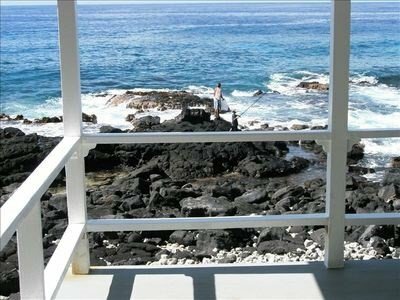 Unique, ocean-front home with breathtaking, 180 degree ocean views. 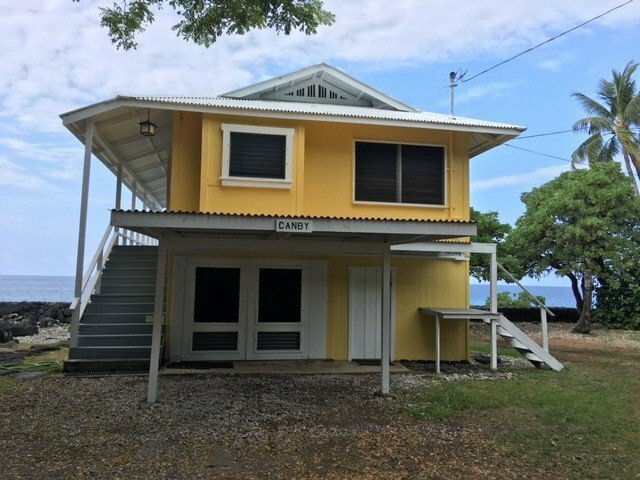 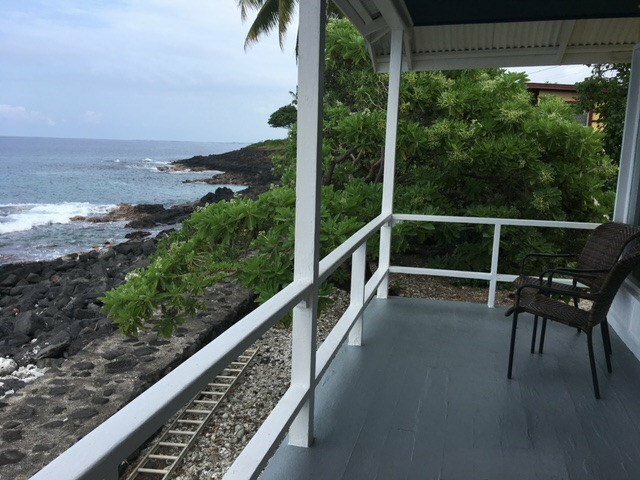 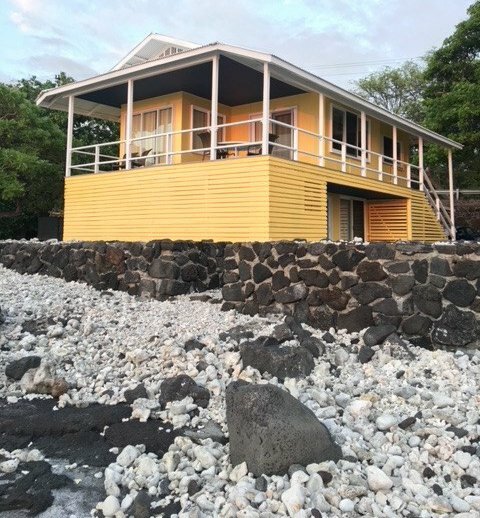 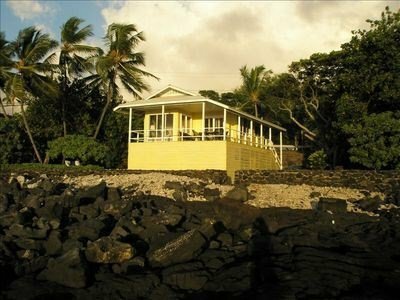 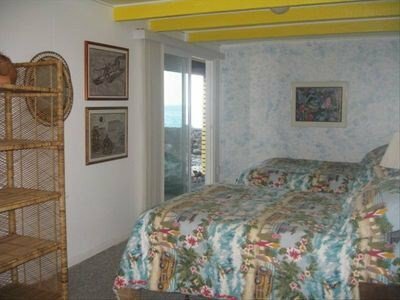 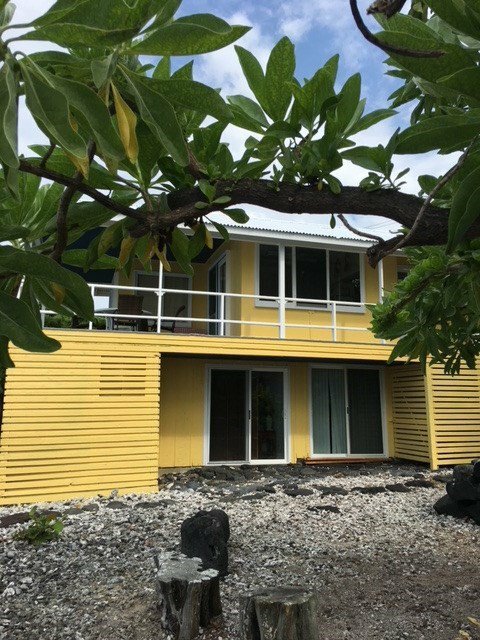 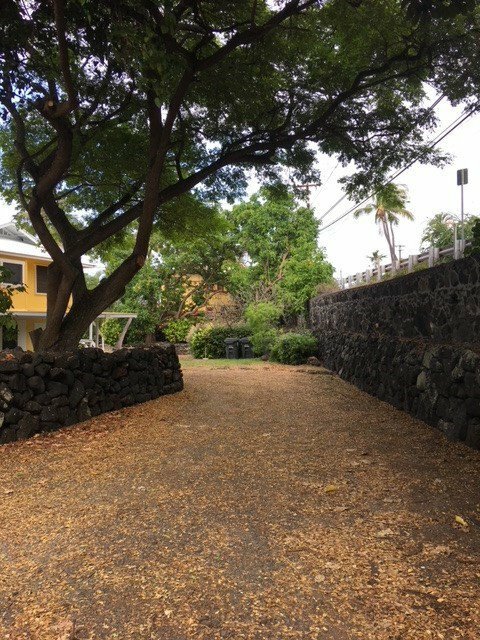 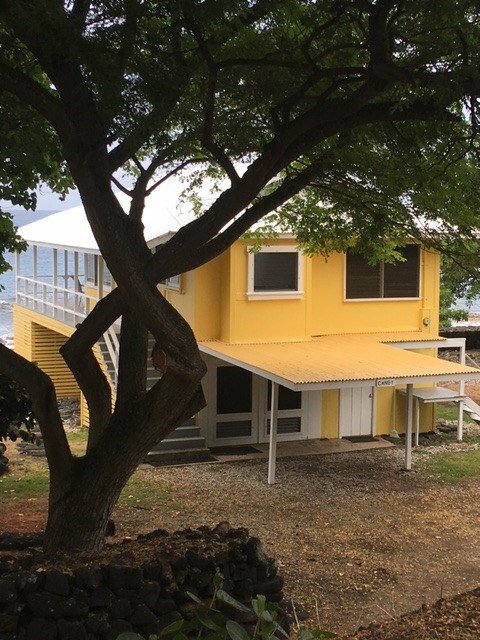 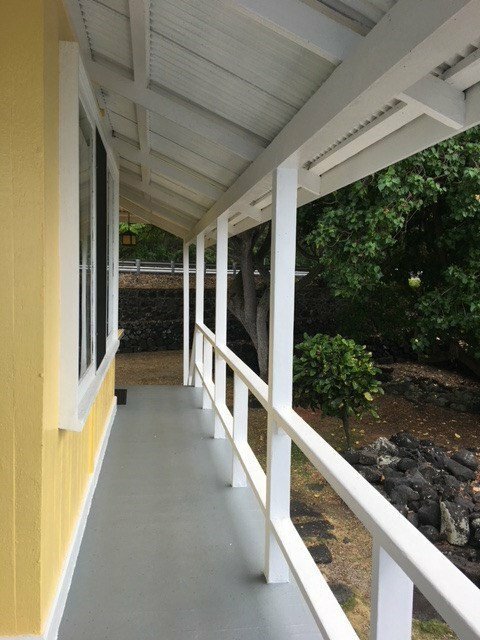 Walking distance to popular Kahalu'u Beach Park. 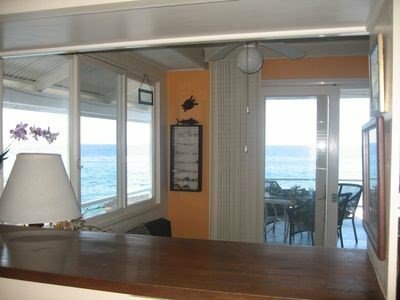 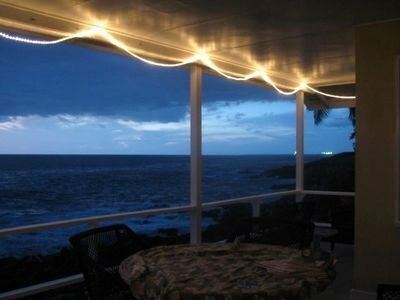 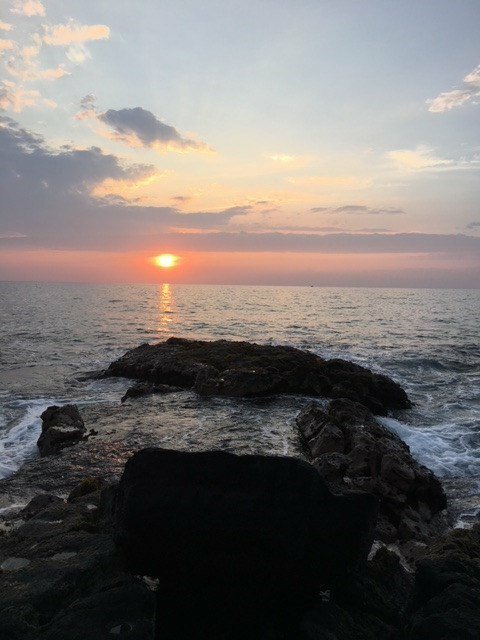 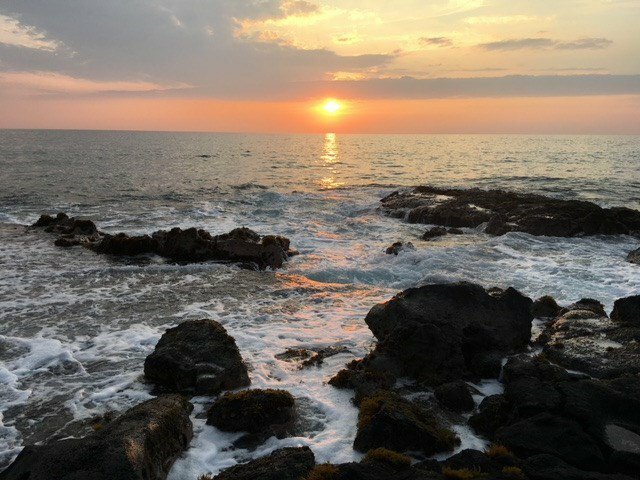 Gorgeous ocean views and sunsets can be seen from every room in the house. 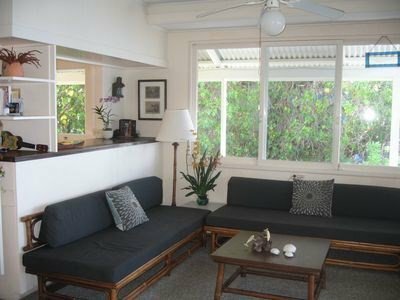 Lanai is perfect for relaxing, napping, or sunset dining. 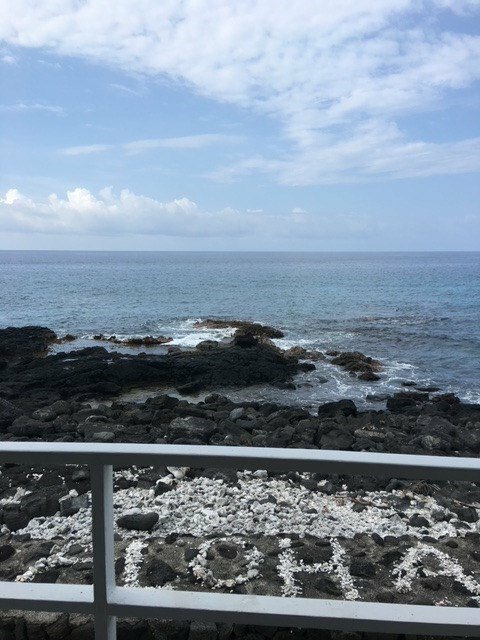 Just a few steps to the ocean, where you can explore tide-pools, snorkel, scuba or kayak. 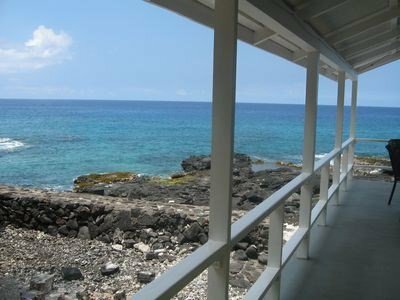 House and property lie within 1/2 mile of two excellent beaches, both within walking distance. 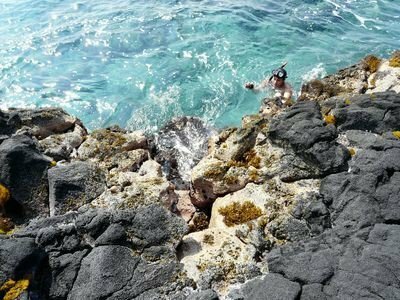 To the north is a body surfing beach, and to the south is excellent beach for snorkeling and board surfing. 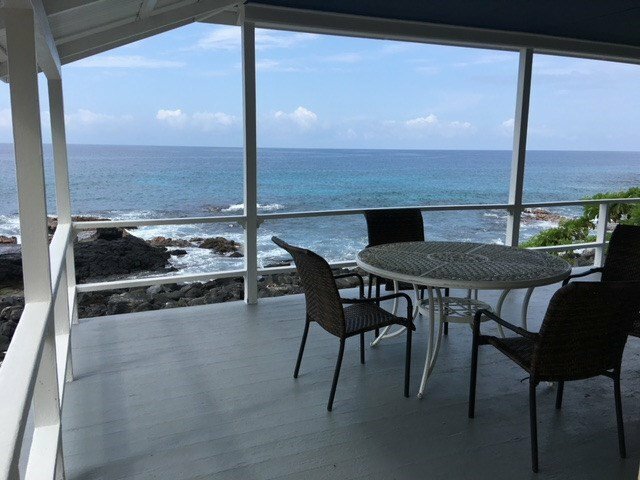 Watch spinner dolphins from the lanai, and during the winter months you can see migrating humpback whales. 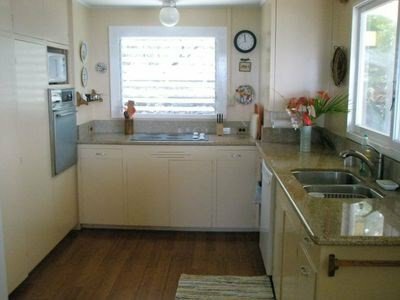 Upstairs has an open, full kitchen with granite counter-tops and bamboo flooring, which opens onto a dining and living area. 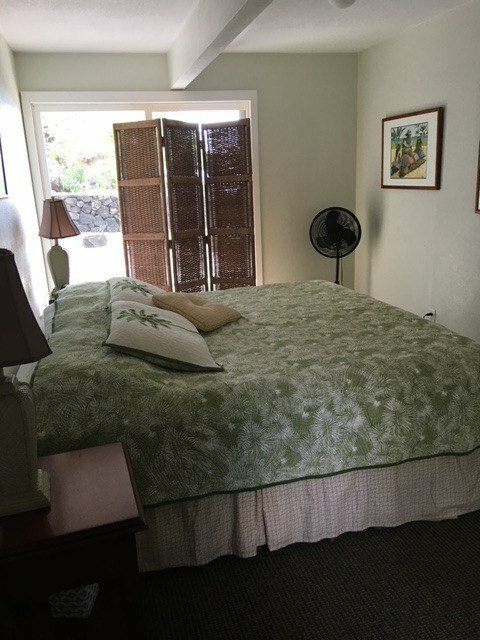 Master bedroom and bath are upstairs, and downstairs bedroom has a separate bathroom with large shower. 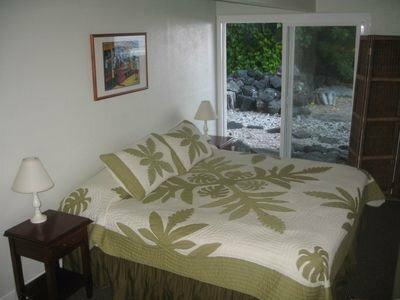 From the bedroom, you can step through the sliding doors into the garden or out to the ocean. 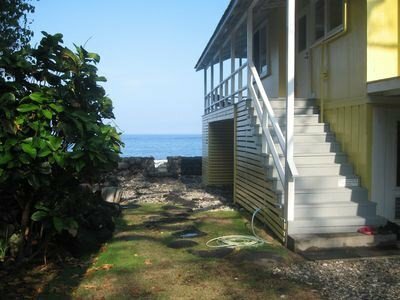 If you've always dreamed of living by the ocean, this classic beach-house could be your dream come true!